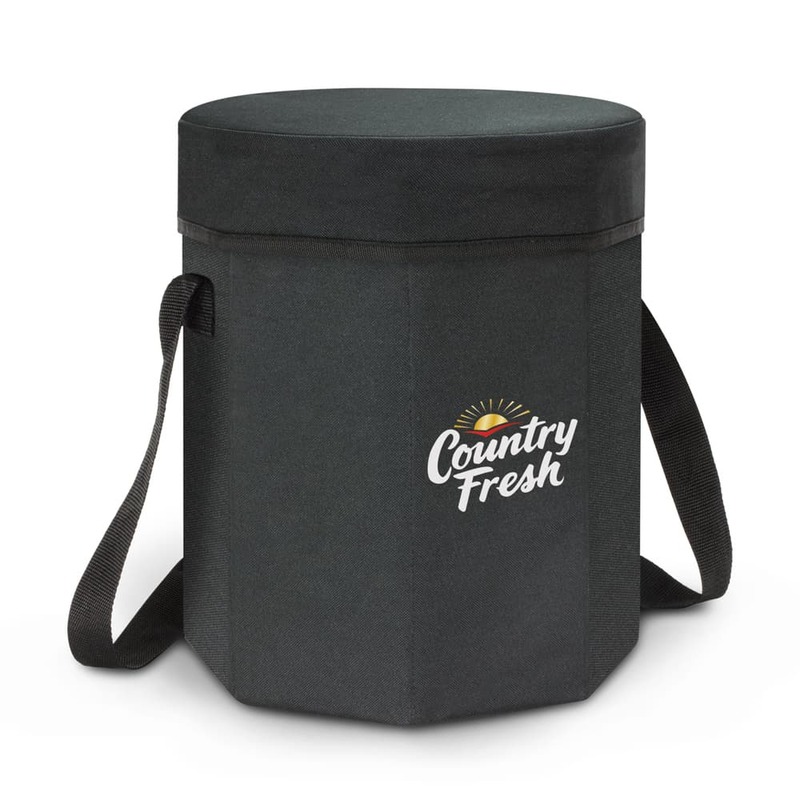 This sturdy 11 litre cooler bag can hold 24 cans and doubles as a handy seat that can support up to 90kg. Great for parties, the beach or a picnic in the park and handy when somebody forgets their folding chair! It is manufactured from 600D polyester with an inner lining of aluminium foil laminated PE foam insulation. Folds flat for compact storage due to the removable base. It is easily assembled in a few seconds and other features include a soft padded seat, plywood reinforced walls and an adjustable shoulder strap. Dia 300mm x H 360mm (excludes handles). Screen Print Lid – 160mm x 160mm (one colour). Screen Print Cooler – 80mm x 170mm (one colour). Digital Transfer Lid – 160mm x 160mm. Digital Transfer Cooler – 80mm x 170mm.